Real Sociedad have improved at the helm of a new coach Imanol Alguacil, winning both league matches so far (2:0 Real Madrid, 3:2 Espanyol). 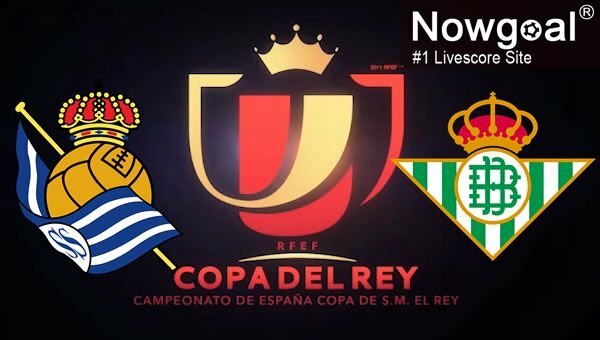 Last week they drew in the first-leg of Copa del Rey tie against Betis (0:0 away). ‘Txuri-urdin’ take on Betis on Thursday in the second-leg. “We give a lot of value to the Cup, the players and I are very excited to be able to pass the round. I hope that this year we will have a good Cup run. Undoubtedly, we want to advance further. All the teams are powerful, with strong players. It is an important fact that Betis has one more day of recovery. I will do what I consider appropriate to compete, based on how the players are, always with the objective of winning, but also thinking of Sunday, another important match,” said Alguacil. Betis don’t impress lately, being on a 4-game winless streak in all competitions. Now it’s time for an away cup encounter. “Clearly, we are very excited and hopeful. We believe we can overcome the tie but in front of us we will have a rival with a lot of potential. Normally there is a lot of equality and the outcome can be uncertain. In the first leg we did more on merit than they did to win, but in La Liga it was the other way round. I foresee more or less the same and see if we have the fortune to score the goal and pass the tie that would make us very excited,” said coach Quique Setien. To sum up, it seems that this might be an interesting clash with a couple of goals. Both Real Sociedad and Betis are offensive-minded and perhaps this may be an entertaining match with goals.